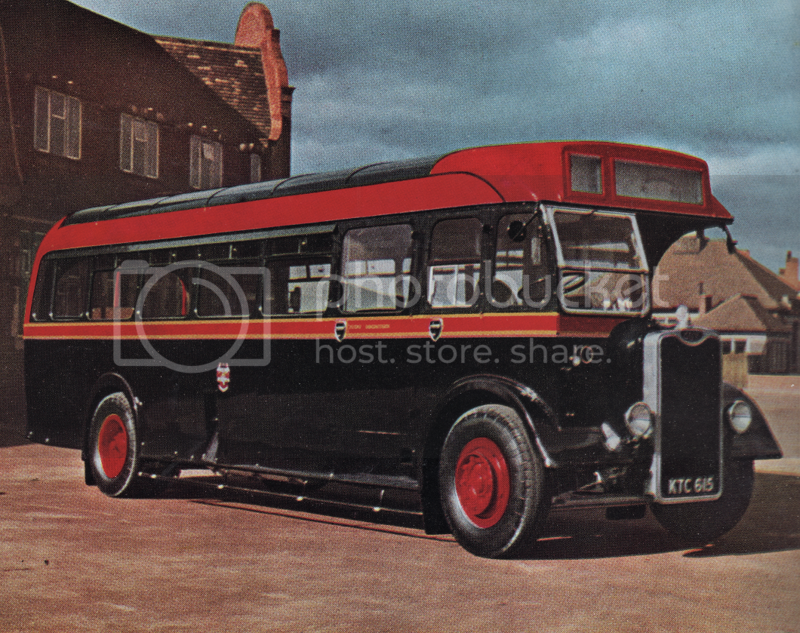 Here are some coloured photos from the old book I discovered on the British motor industry. 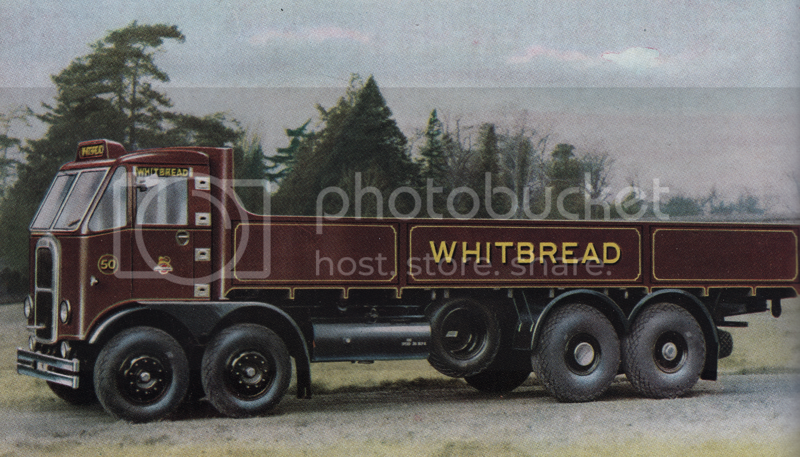 Atkinson 8-wheeler with Gardner diesel power. 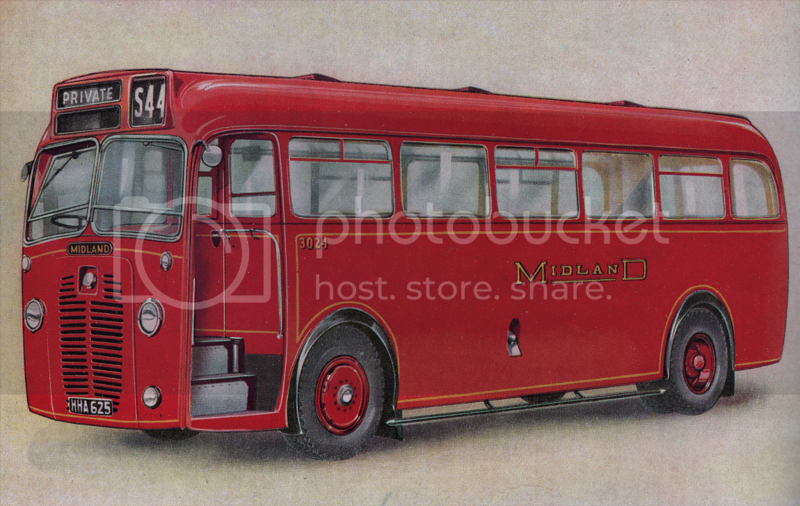 Metropolitan-Cammell-Weymann body on a bus of the Midland Motor Omnibus Company, but unfortunately it doesn't tell us what the chassis is..
Scammell 8 wheeler. 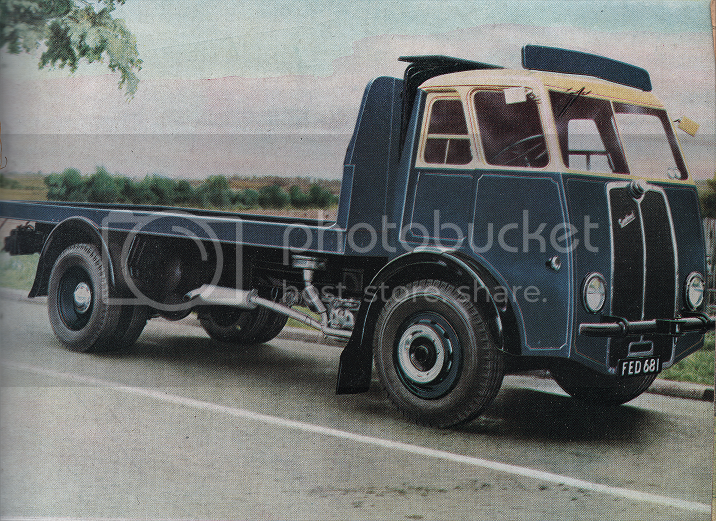 Note the big balloon singles on the back axles. 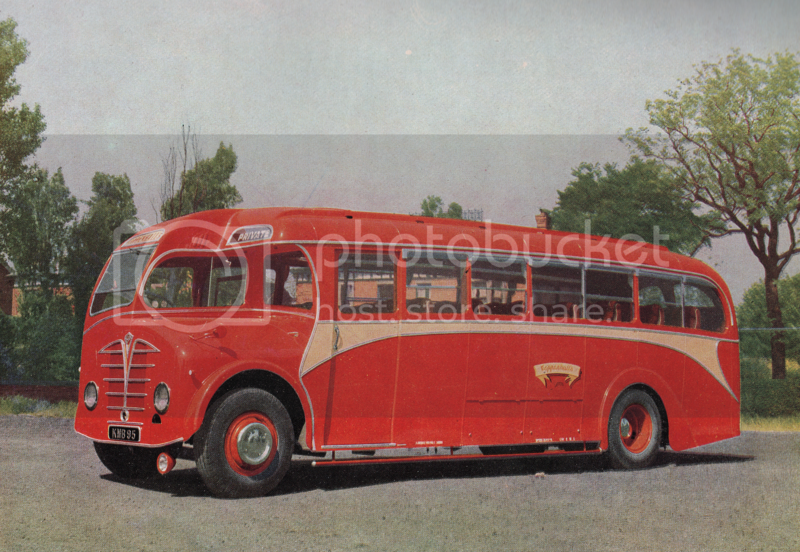 32 seater Foden with body by Wadham Brothers Limited. A Sentinel diesel with the engine mounted between the chassis rails under the deck. 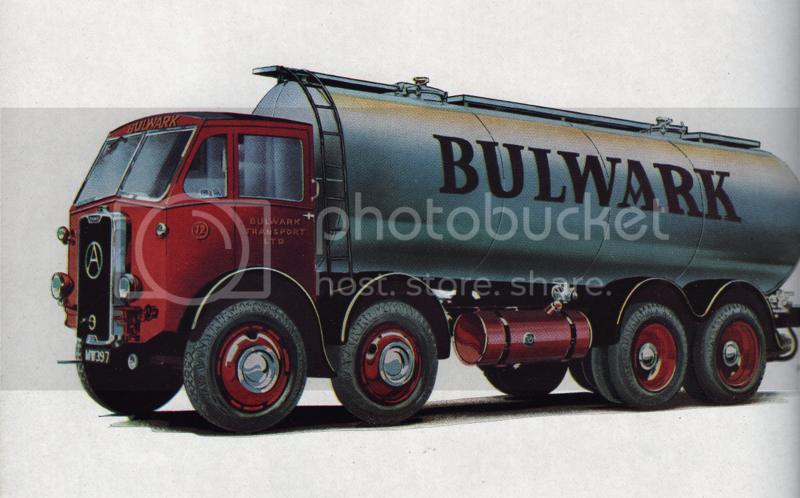 This must have been good for space in the cab and cab temperature, but perhaps not always as easy for the mechanic, though some of the engines mounted in the cab were fairly tricky to get at too.